Prototype chassis at the 1919 Olympia Show in November 1919. In June, 1920, Bradshaw announced the design of an electrically-controlled invalid carriage, comprising a motor cycle sidecar on four wheels, with an electric motor driving the rear wheels by chains. A battery would supposedly last 35 miles on a single charge, and the vehicle could be supplied with either hand or foot controls. One is said to have been tested, but no further information can be found, and nobody remembers hearing anything about this machine. Some aircraft had Dragonfly engines fitted after the First World War, including several Nieuports, one of which was flown in the 1919 Aerial Derby by Lieut. L. R. Tait-Cox, but developed engine trouble and retired. Others were more successful, possibly being fitted with pre-production engines, and Harry Hawker would often be seen over Kingston and Hersham, sometimes dive-bombing the works or performing aerobatics, which would cause all the employees to rush out and spectate, much to Bradshaw's annoyance. The "Gnat" engine was also used after the war in several aircraft, including the Blackburn (probably a one-off) and the B.A.T. Crow, a sort of flying sidecar. The manufacturers of the latter pointed out to potential customers that they would be better advised to learn to fly not on a B.A.T. Crow, but on someone else's aircraft! It was also fitted to the Farman "Le Moustique", the De Marcay, and the 21-planed Sanchez-Besa (this looked like a mobile venetian blind). 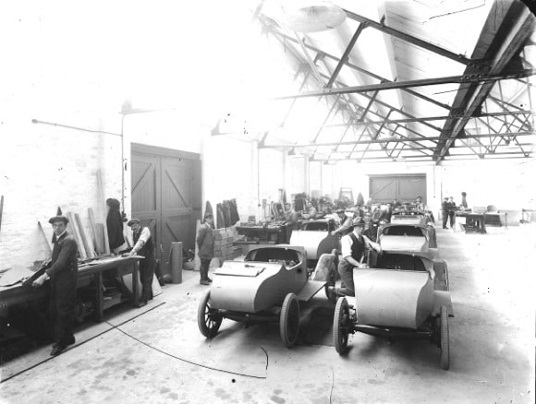 Assembly of the "Sports" model at the old Esher Road factory in 1920. After the end of hostilities late in November 1918, there was a sudden influx of activity for non-aviation products, and the company minutes refer to the 1100cc engine being completed, but the chassis was barely at the experimental stage. 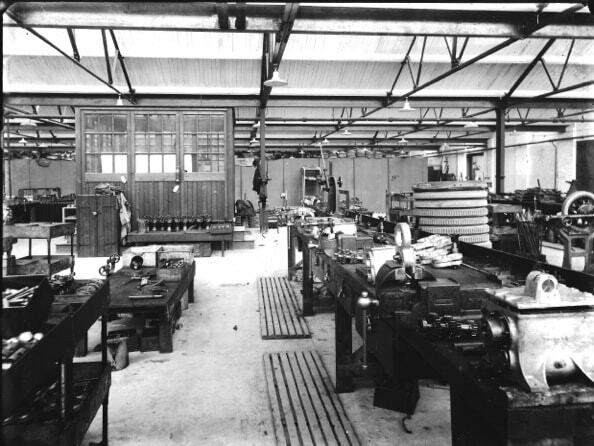 It was suggested that the Hersham works could produce around thirty cars per week once it was on a production basis. With this in mind the company was in negotiations for 400 1100cc cyclecar engines with Gillet Stephens & Company, who had been involved with the auxiliary engines during the war, whilst a diagrammatic chassis layout was produced in Motor Cycle for 5th December 1918 showing a transverse flat twin engine, friction drive transmission and chain final drive to each rear wheel. The engine in some reports was now suggested to be 1200cc and by mid-January 1919 the company had received orders for 277 light cars with deposits totalling £1385 (£5 per car). There was also mention of the big car in the minutes, for which development work would continue on a spasmodic basis as to not interfere with the cyclecar as it was then still termed. The big car was to have used a 100hp five cylinder radial engine mounted at the front of which the engine could be rotated to maintain each cylinder but as it happened, development does not seem to have got any further. By 1919 the cyclecar had advanced to a light car, and the mechanics were described by the motoring Press in March, although any thoughts of bodywork at this stage were rather incidental. 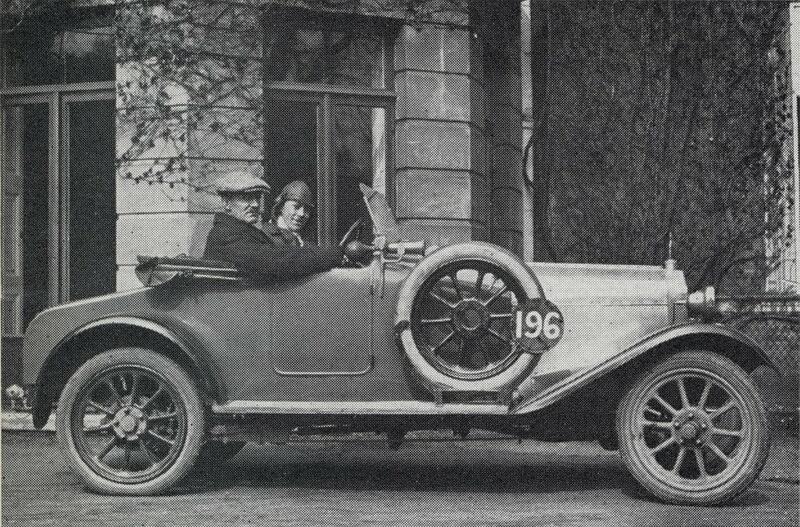 Early in February both Country Life and Light Car & Cyclecar reported that the car would have a four speed gearbox with bevel final drive and that the cars would likely make an appearance by the end of May 1919. 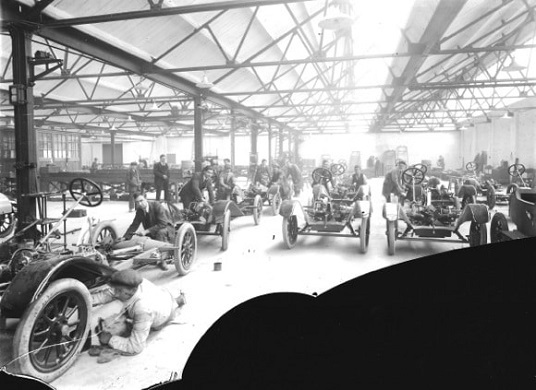 1000 light car chassis were ordered through Selsdon Engineering Company Ltd early in April (another outlet for Gilbert Campling), but by the middle of that month Selsdon were saying they could not entertain the manufacture of complete chassis but would entertain making the gearboxes. Good publicity was gained late in April and early May with both Light Car and Cyclecar and Autocar carrying articles on the new ABC light car with an artist’s impression of the car and line drawings and photos of the engine, which was great for potential customers, but as we are seeing nothing yet had been finalised regarding its production by the company which would require some form of restructuring. Due to these optimistic reports some 3,000 orders had already been received for the light car, and the 1919 production target was 4,000 cars. They were to be sold by the New Service Organisation for Motorists, which was connected with the Motor Union Insurance Co. Ltd., for about £195 per vehicle, deliveries starting in June. 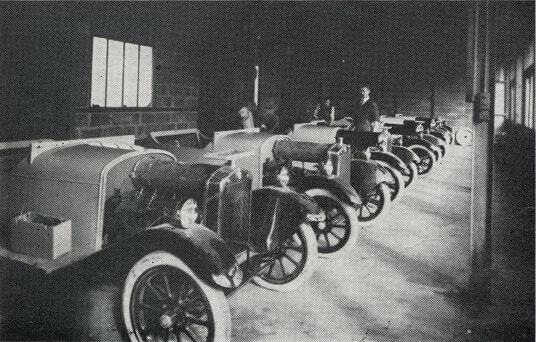 Towards the end of May 1919 the company was in negotiations with a Mr Metts of Gillet Stephens, which resulted in a proposal from Sir Samuel Waring (of Waring & Gillows and a major shareholder in Walton Motors) to take over the manufacture and sales of the ABC light car through Gillet Stephens. A further meeting in mid-June with Metts and Gillet resulted in an agreement for Gillet Stephens & Co to proceed with the manufacture of 400 light cars to drawings and specifications provided. However by late September the formalities had not been concluded, so Captain Charteris then tried to interest the Aircraft Manufacturing Company (makers of Airco and DeHaviland aircraft) who suggested that they might be interested subject to an order for a minimum of 4,000 cars. 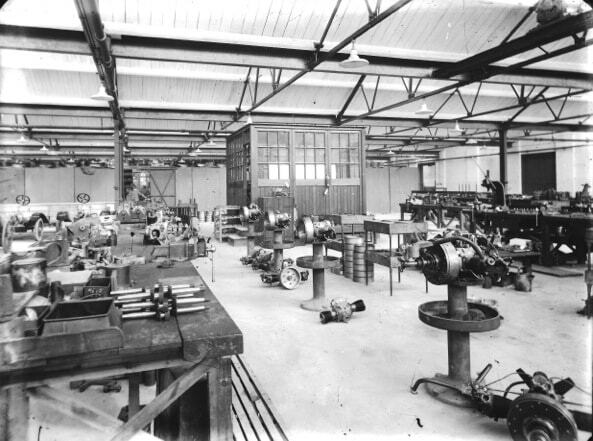 A further consideration was to extend the ABC factory by going to the public for funding, whilst the MD was also going to France to pursue any possibility of the cars being made by the French Gnome et Rhone company, who by this time were setting up production of the post-war ABC 398cc motorcycle in parallel with production in the UK by the Sopwith Aviation Company Ltd.
Engine assembly and test shop at the new factory in 1920. A prototype car was road tested during May 1919 with cushion covered soap box and not surprisingly without the weight of the coachwork, performed briskly. This had a transversely mounted 1223cc flat twin air-cooled engine (91.5 x 91.5mm) with machined steel cylinders, overhead valves operating in cast iron hemispherical heads and making liberal use of roller and ball bearings as on previous ABC engines. Originality was frequently Bradhsaw’s strong point and the separate four-speed gearbox was not only unusual in light cars but also had the distinction of using a vertical gate with all gear selection being either forwards or backwards. A prop shaft within a torque tube transmitted power to the back axle via a bevel pinion and crown wheel in a deceptively heavy looking rear axle, although the cones either side of the central aluminium portion were made of thin section rolled light steel. They were riveted in position to malleable iron brake brackets at the outer ends and to flanges on the inner end which housed the main bearings. The chassis frame was channel section but tapered outwards towards the rear end, with a tubular front cross member and channel cross members supporting the sub frame on which the engine and gearbox were mounted. Quarter elliptic springs were used all round, the front ones being rigidly fixed to the front axle and the rear ones running on rollers fixed to the back axle. Artillery wheels were fitted with 700 x 85mm tyres. The frontal appearance looked quite conventional, but the ‘radiator’ was a dummy and the filler cap lead to the cylindrical petrol tank fixed above the engine, this leading on a number of occasions to garage attendants filling the tank with water. There was also a six-bladed metal fan behind the radiator and this sometimes parted company and punctured the tank above causing a conflagration that ended the usefulness of a few cars. A second prototype was to have been exhibited at the 1919 Olympia Show, but Autocar reported that it was unfortunate that the only example of a finished car to be shown was seriously damaged in transit, leaving only a chassis for potential customers to ponder. This had a longer wheelbase and overall length, decreased track, and a single plate Ferodo clutch instead of cone, whilst tyre size was now given as 710 x 90mm. Optional body colours would be buff, blue or grey with black chassis and mudguards, and a price was given for the 2-seater of £295, with a dickey seat as an optional extra. In the middle of December 1919 in relation to the proposed new enlarged company, Granville Bradshaw stipulated that he should receive 1/3rd of the purchase price payable to the vendors from the sale, a proposal the MD considered unreasonable, and thus Bradshaw resigned. It was suggested that perhaps he could be persuaded to continue as consulting engineer and designer at a fee of £1,000 per year for two years, but whilst he continued to see through the finalisation of drawings and specifications Bradshaw’s mind was already made up, regarding the situation as likely to introduce too many new people telling him what to do, when they had little real design experience themselves, although he seems to have stayed on until about March 1920. In the latter part of January and into February 1920 Sir Samuel Waring put forward a proposal to amalgamate ABC with various other of his companies, whilst Sir Davison Dalziel proposed an amalgamation with Gilbert Campling. Tom Dennis, the Company Secretary, was left to negotiate terms of various proposals and to obtain from an approved agency a prospectus for an increase in capital of up to £300,000. Hersham Lodge in the days of ABC Motors (1920) Ltd with a Bean car outside. By the end of February 1920 another proposal was being considered in which Harper Bean Ltd., itself inaugurated in November 1919 with a £6million capital, would supply sufficient materials to produce 5,000 cars per year and that they would guarantee the sales and marketing of the car through the British Motor Trading Corporation assuring a profit on each car of £20. The idea of Harper Bean was to emulate General Motors in America, which grouped several suppliers of component parts and manufacturing companies under one umbrella organisation in order to benefit from cheaper supplies by ordering in volume. Apart from Bean this also embraced Swift and Vulcan as well as the Regent Carriage Co., Gallay Radiators, and shares in Hadfields the Sheffield steel suppliers. H J Whitcomb (who formed Harper Bean Limited with Jack Bean and Charles Wardman of Vulcan in 1919) was to become Chairman. 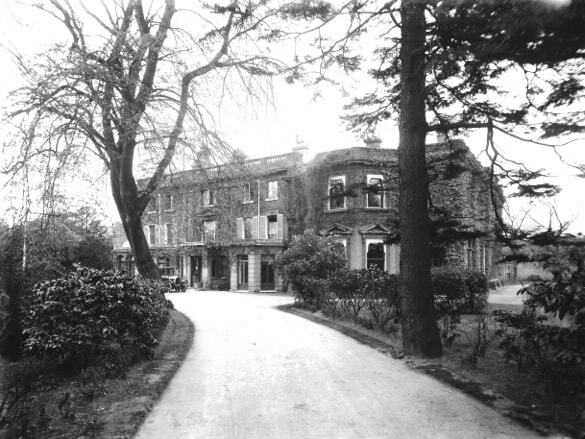 On the 18th March 1920 the prospectus of ABC Motors (1920) Limited was signed (the old company to be wound up within the next month) and the following day an EGM was held at Hersham Lodge at which an agreement was signed between ABC Motors (1920), the British Motor Trading Corporation and Harper Bean. Similar agreements also covered the motor cycle and the Skootamota, the yearly output of motor cycles being 10,000 in England, plus 3,000 in France, each of these producing a £3 10s. profit, and an annual output of 20,000-30,000 Skotamotas, each bringing in a profit of 15s. Based upon these figures, the Bean-controlled A.B.C. company proceeded for the next few years getting into deeper and deeper debt, since these figures were never within the productive grasp of the various factories. Like many other companies of the immediate post-First World War period, their projects for mass production were far too ambitious (e.g., Angus-Sanderson and Cubitt). When Beans took control, a new factory was built at Hersham, opposite to the existing one, and all the latest machines and production techniques were incorporated. Certain members of the Bean company took over the running of A.B.C. Motors, including H. J. Whitcomb as chairman (chairman of Beans), J. Harper Bean as a director (managing director of Beans), Ernest Noel, Maurice Yorke and Capt. Ronald Charteris. The last two were directors of the old A.B.C. company, Capt. Charteris being an early aviator, and founder of the company in Redbridge. Mr. T. A. Dennis remained as secretary, whilst Granville Bradshaw was asked to remain as consulting designer and engineer. Interestingly enough Granville Bradshaw was a shareholder in the new company.